Get a FREE $25 Gift Card #998-MEG25 when you purchase 2 Mickey Thompson ET Drag Slick 29.5 x 9.0-15! Note: All dimensions @ 10psi cold on spec measuring wheel. Mickey Thompson ET Drag Slicks are designed for consistent ET's and maximum traction using real-world research and development. 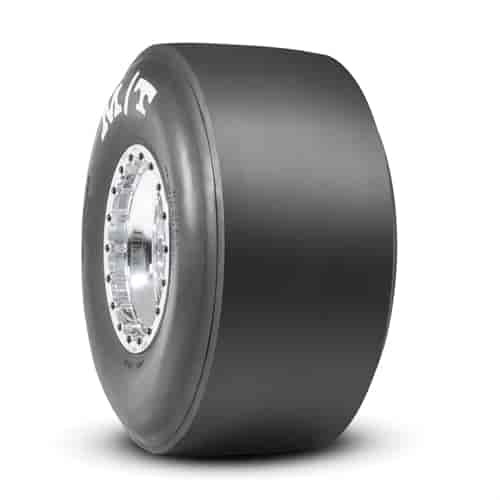 In fact, Mickey Thompson is continually working with top racers to optimize the construction and compounds of their ET Drag Slicks to fit every drag race class and give you an edge over the competition. M8 - Aggressive Compound for Index Racing, Works Well in All Ambient and Track Conditions. Mickey Thompson 9553 - Drag Tire Inner Tube, Fits Tires: 24-1/2" to 28" Dia.